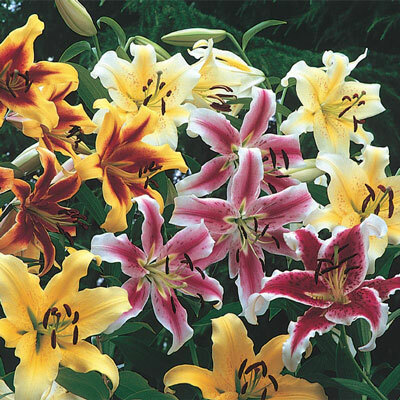 Wilt-free petals reach up to 8" across and come in a variety of rich colors. These 4-6' tall beauties reach 3 1/2 to 5' the first season and rocket to full height of 6' the following season. Midsummer blooms are excellent for naturalized areas, cottage gardens, flower arrangements and borders.